This morning I went for my three weekly haircut to the local Zoom hairdresser. There is no appointment system but if you have a preferred hairdresser you can just forfeit your place in the queue until she (usually it is a she) becomes available. I always wait until Becky is available. I’ve mentioned Becky before. She’s a pleasant Welsh girl who just throws on one of her six work outfits in the morning (without turning the light on) and still always looks quite glamorous. I have mentioned to her that she always looks glamorous in spite of the haste in which she gets ready in the morning, but she doesn’t seem to believe me. Anyway, today is her 26th birthday. She also had some news. Her boyfriend has finished college and attained top marks, meaning that he can go to his preferred university. They are both going to go travelling around the world before he starts university, so Becky is leaving Zoom and she won’t be there when I next turn up. She’s already spoken to her colleagues to tell them how I have my hair cut each time. The boss had said that she shouldn’t tell the customers that she is leaving but she wanted to make an exception with me. We even exchanged email addresses afterwards and a couple of hugs. I was really touched that she liked cutting my hair that much. My tales of picking up Yasmin at 3am on Sunday mornings obviously aren’t that boring! 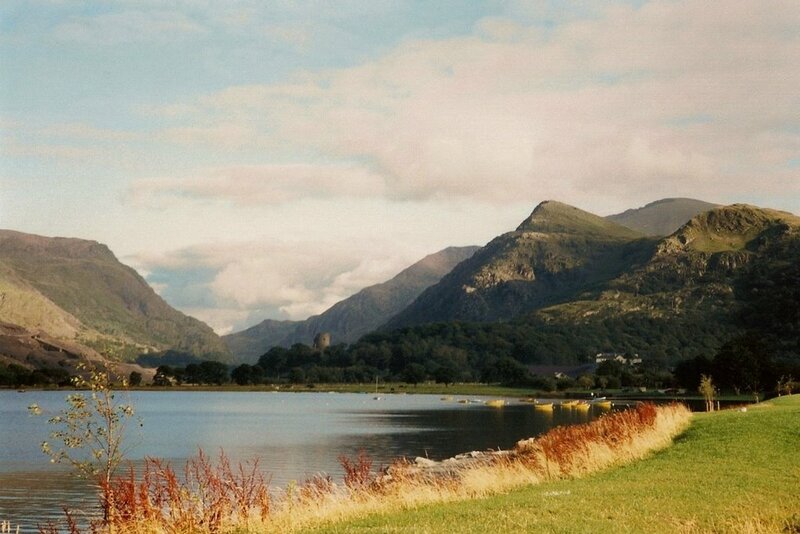 I know that she comes from North Wales; so – in Becky’s honour – here is a photo from Llanberis, North Wales. Just think, she left this beautiful part of Britain because she desperately wanted to be with her partner while he studied at college cut my hair every three weeks. Hmmm…I’ve been a naughty boy, haven’t I? All of my internet stalkers must have hated me over the last year as I haven’t left much of an internet trail. Yes, I’ve logged into my bank account and paid my bills (well, most of the time) but I’ve not done too much on WordPress, Google+ or Twitter. In the last month I’ve done a little bit on Twitter and in the last couple of weeks a little dash on Google+ because the posts on these two places are only a few words (usually). So do you want an explanation? I won’t give too much in that regard; only that there was a big issue that I needed to deal with in the family and I didn’t feel much up to social media. All of my posts would have been quite depressive – and that’s not the way I wanted to go. I’m no Robert Smith or David Byrne – The Cure are quite good at songs of depression and Talking Heads are phenomenal with music describing about nervous breakdowns (“The Overload” from the album “Remain In Light” springs to mind). Anyway, the good news is that I didn’t feel that I needed to listen to Pink Floyd’s “The Dark Side of The Moon” that often. My life now is…oh, I don’t know. Remarkable? Boring? Insignificant? Yes, all of those and a few other adjectives. Financially, I don’t feel like I’m living hand to mouth so much any more. What I mean by that is that it takes me the whole month to spend my monthly wages at the moment. This is wonderful progress for me and for that I am thankful to God. So, what has changed? I bought a cookery book that specialises in simple recipes. I cannot cook at all (remember my MyOpera confession that I set the smoke alarm off while making a salad?) 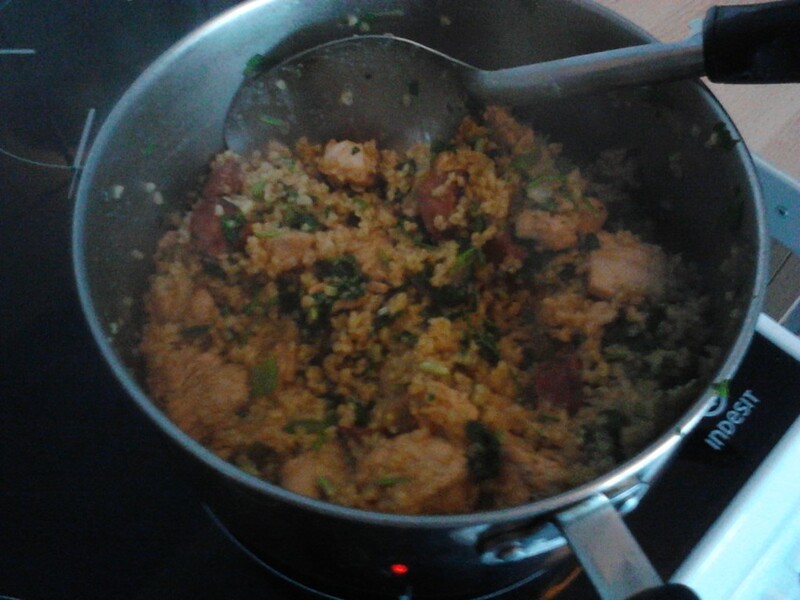 but this book has enabled me to turn out things that are reasonably tasty. All you do is slice ingredients up and through them into the pot in the right order and – like WOW! – out comes something really nice. I suppose a quick plug for “One Pot Wonders” by Lindsey Bareham is in order. My car, oh yes, my car famed throughout the MyOpera years. My old Honda Civic became quite a feature of my posts for a time. Unfortunately, it is no longer in my possession. When I had my MOT in 2013, I was given a list of advisories that filled the page. I knew from reading them that these repairs all needed to be done within three years at most if I was to continue driving the Honda Civic – and they all looked quite pricey. Also, the last Labour government had increased the age that a car needed to attain before being exempt from road tax. No longer would a car get that treat at the twenty five year old mark but now needed to be forty. The last Labour government had, in effect, billed me over £100 in August 2014. So, I bought a new car – sorry, I mean a newer car. I trawled the basement priced used car adverts and telephoned after a cheap looking thing from a nearby dealer. That car had gone but he said that I might be interested in something else that he had. Where was he? Well, down this side alley near the train station where a taxi firm traded from years before. Their battered old sign was still hanging off the side of the building. I turned up and was greeted by a locked gate that held back a ferocious barking dog. A tough guy walked up and asked who I was. He wasn’t the dealer but he called through to the guy who was. The dealer was another tough looking dude. He put on a tee shirt and showed me two well used motors. I grabbed one of them that had a sunroof (yay! A sun roof!) and he then agreed to take my car the next day as part exchange. I gave him £50 deposit and then went home and ran a check on the car. If I was to pay for the car, I wanted to be certain I was not taking on something with outstanding finance or was written off in an accident years ago. The car was legitimate and so the next day I was driving a green Vauxhall Astra. Well, that’s enough excitement for today. I know for sure that this bedtime story will help me sleep well tonight.